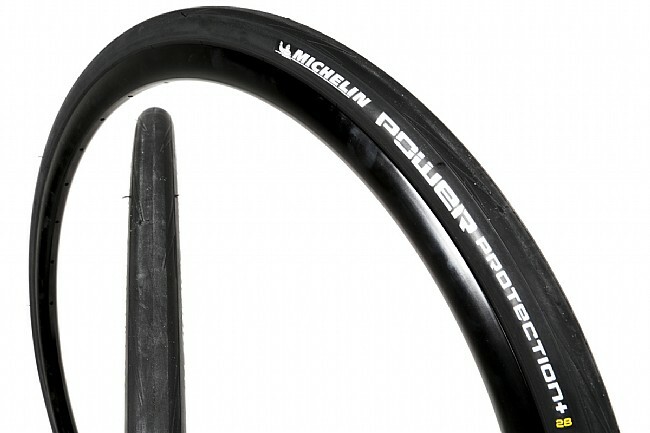 Not all roads are made equally, and for the real ugly, hard-biting asphalt, Michelin's Power Protection Plus Tire has a bead-to-bead Protek breaker to keep your sidewalls safe and your tubes puncture-free. To counterbalance the added layer, the 3 x 110 TPI casing adds back in some suppleness, allowing for enhanced road feel and letting the dual-compound rubber to better hook up in the corners. A Grip Design tread pattern shucks water away from your contact patch to help you keep your speed and confidence up in wet weather.